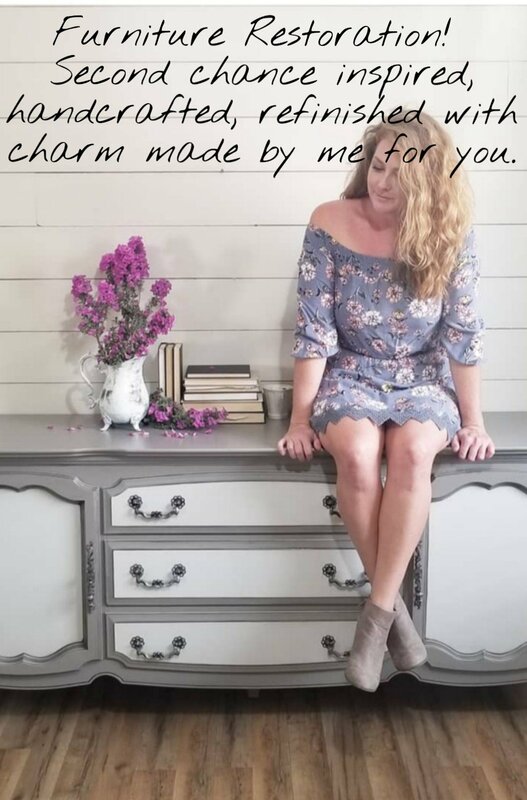 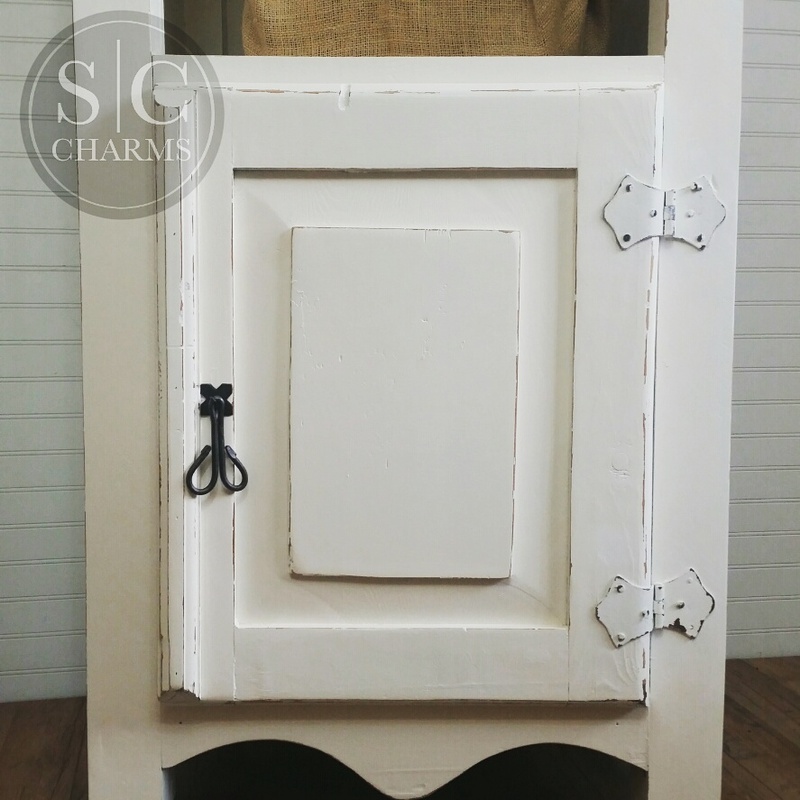 ​Rustic Love! 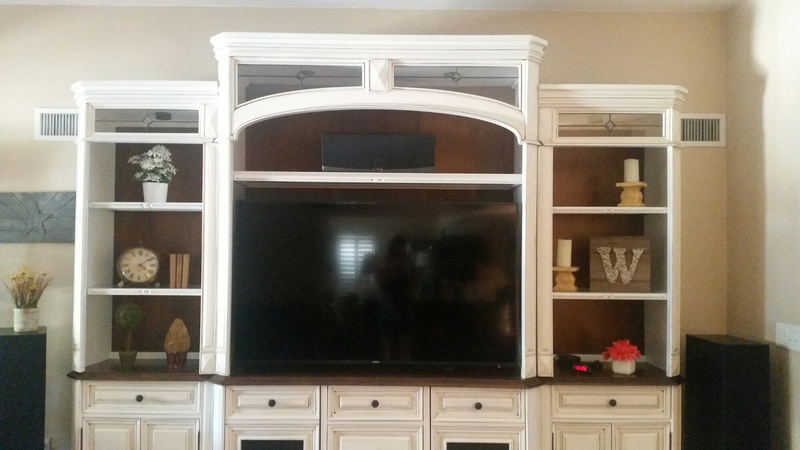 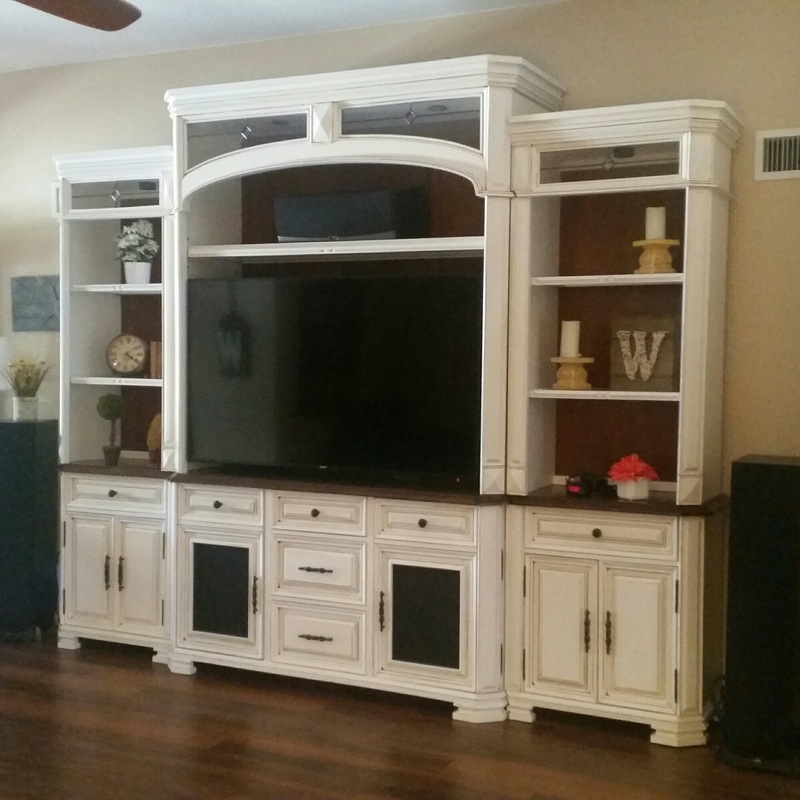 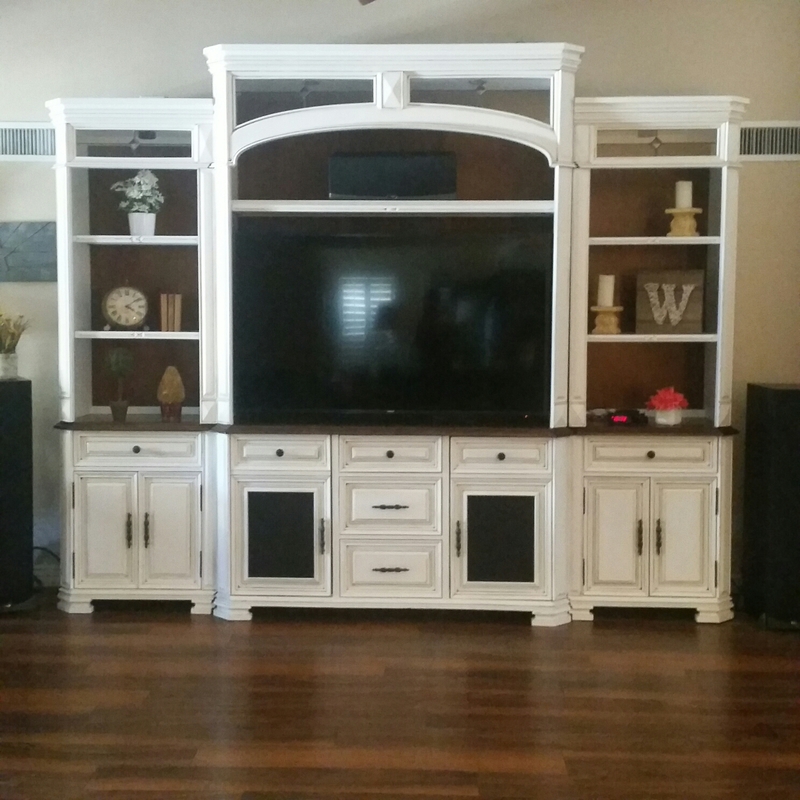 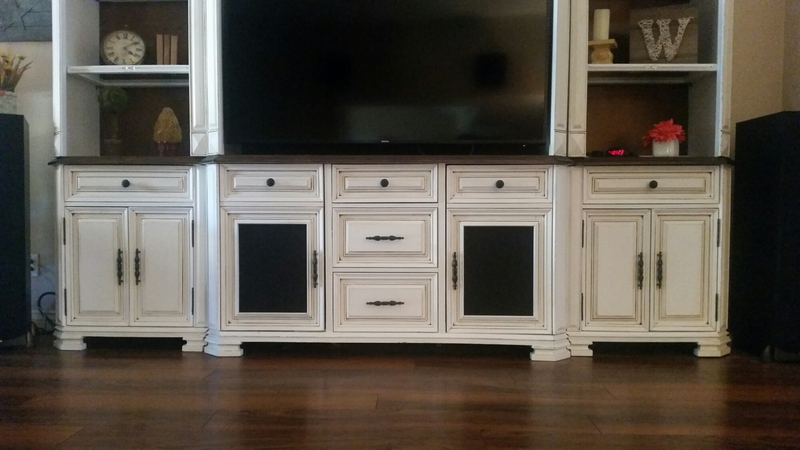 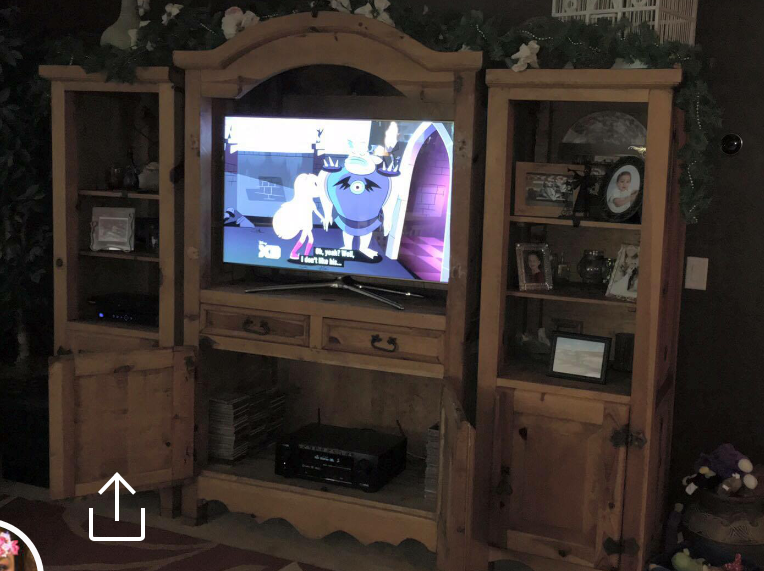 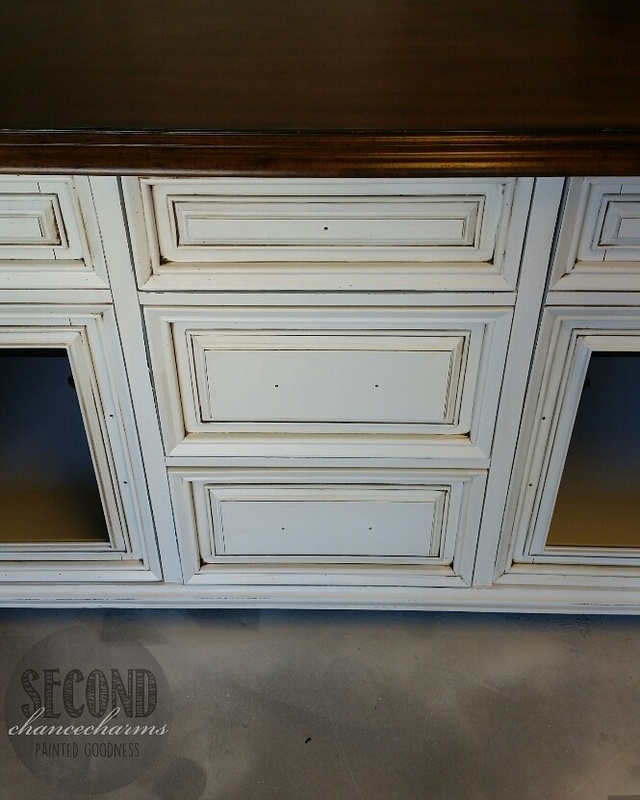 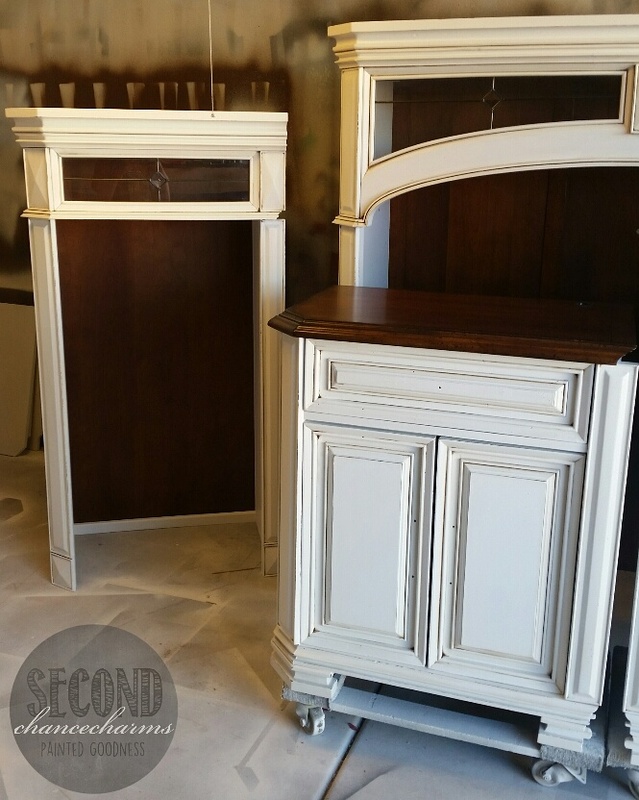 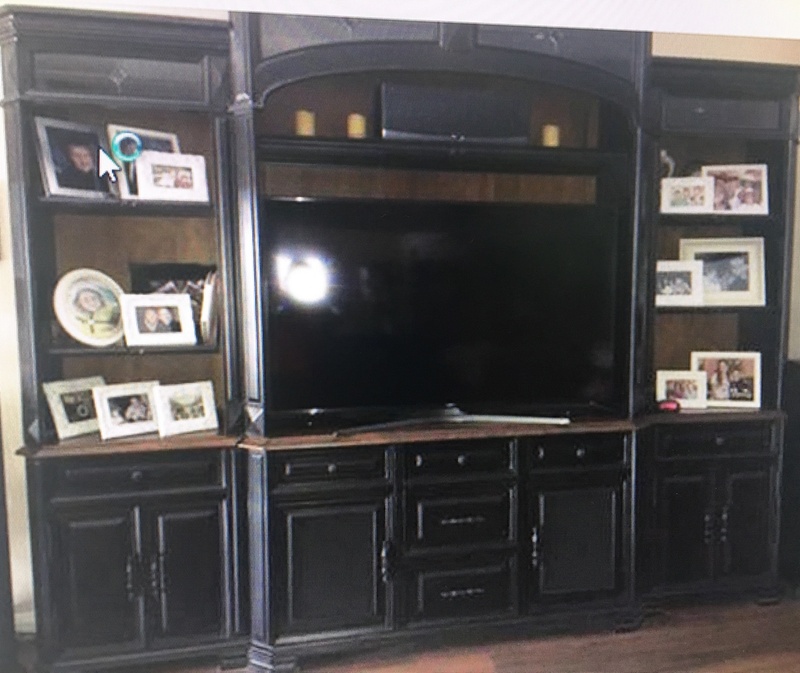 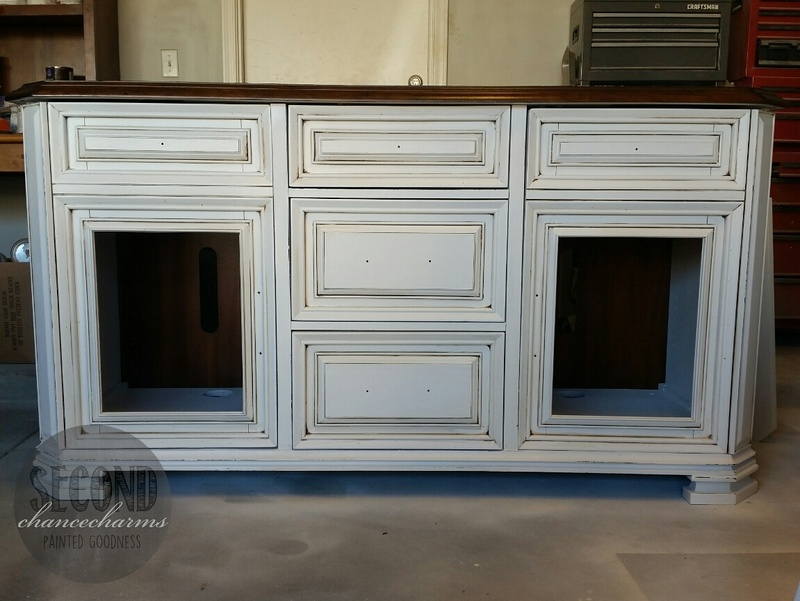 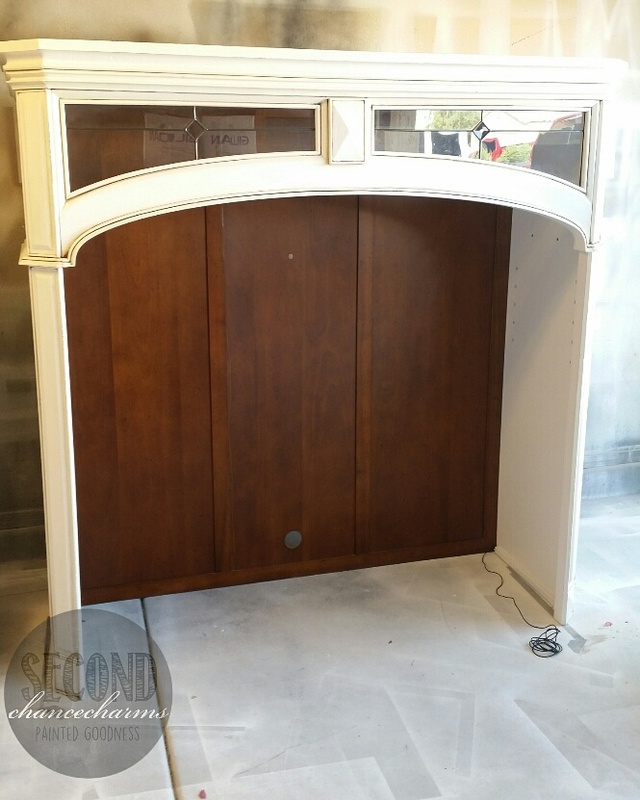 2 pieces to a 3 piece tv entertainment unit set my client wanted a second chance on! 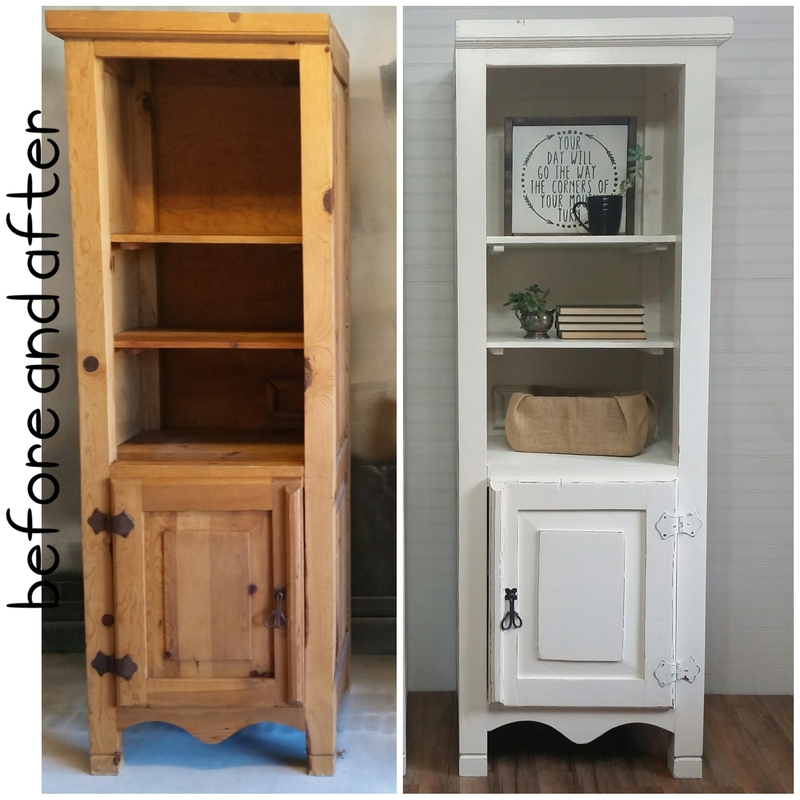 She has had these pieces for a very long time and was ready for a change. 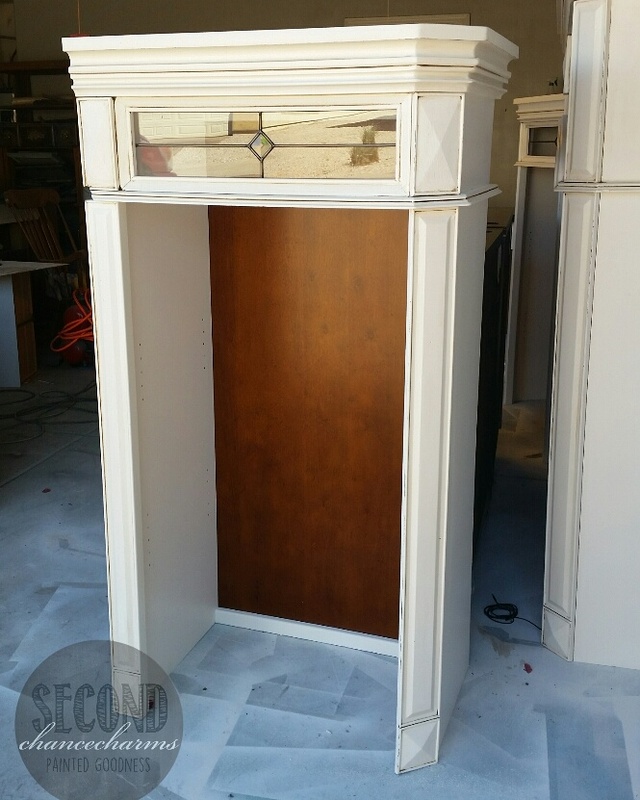 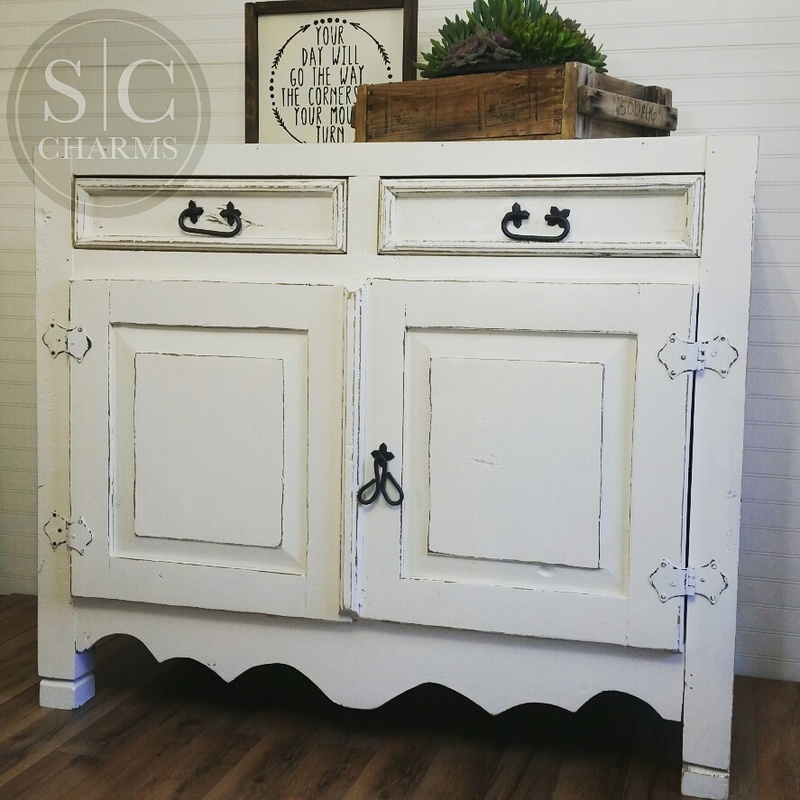 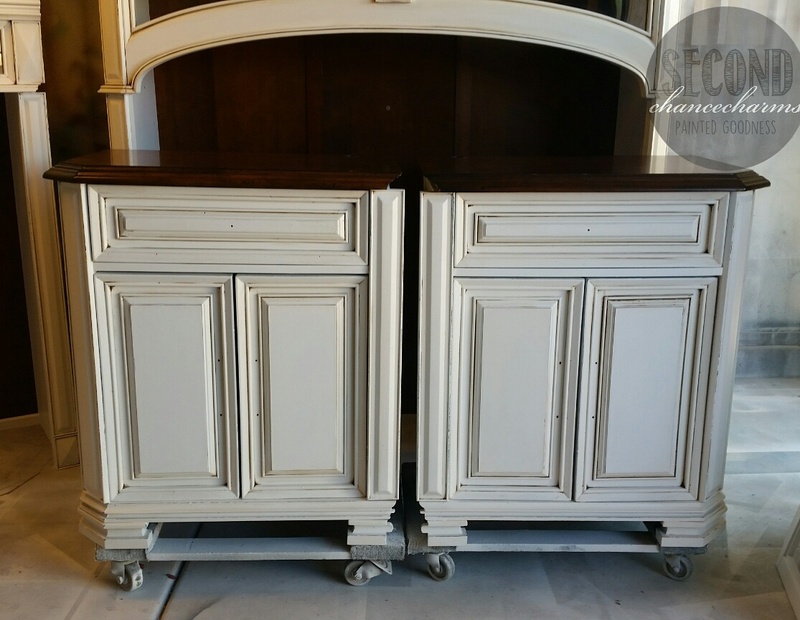 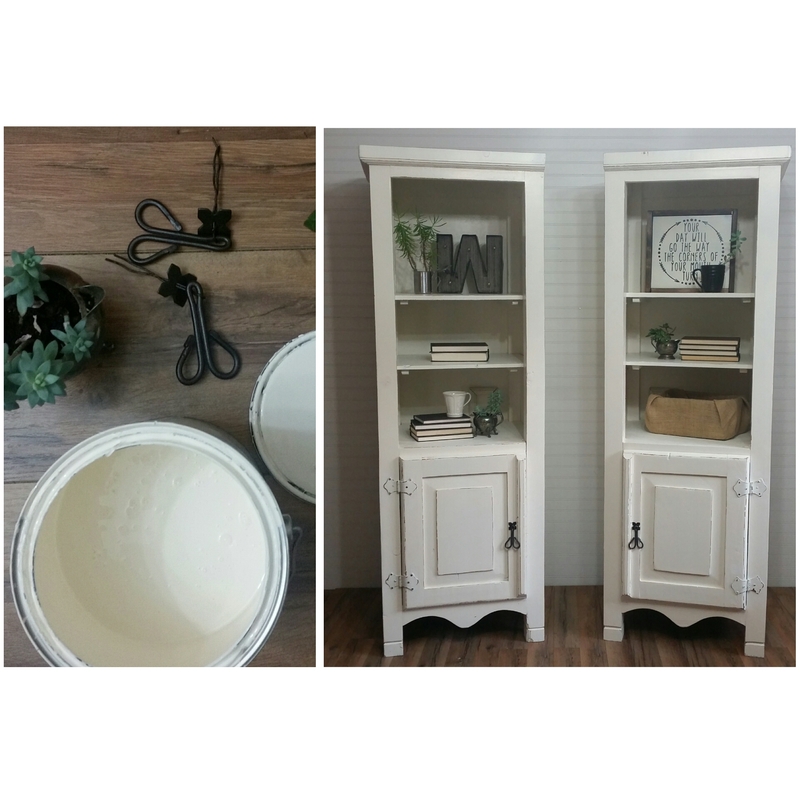 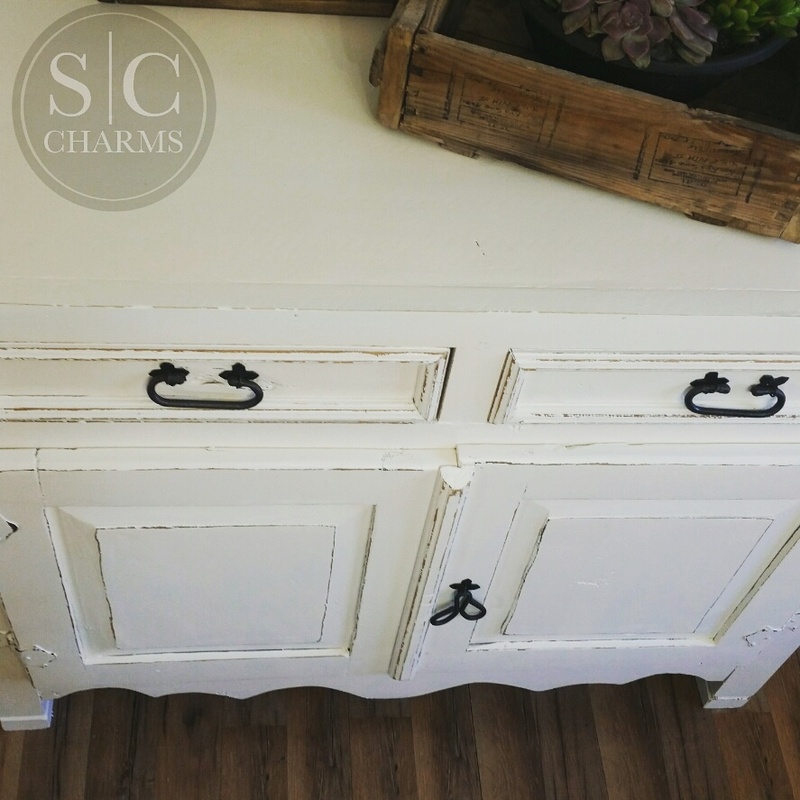 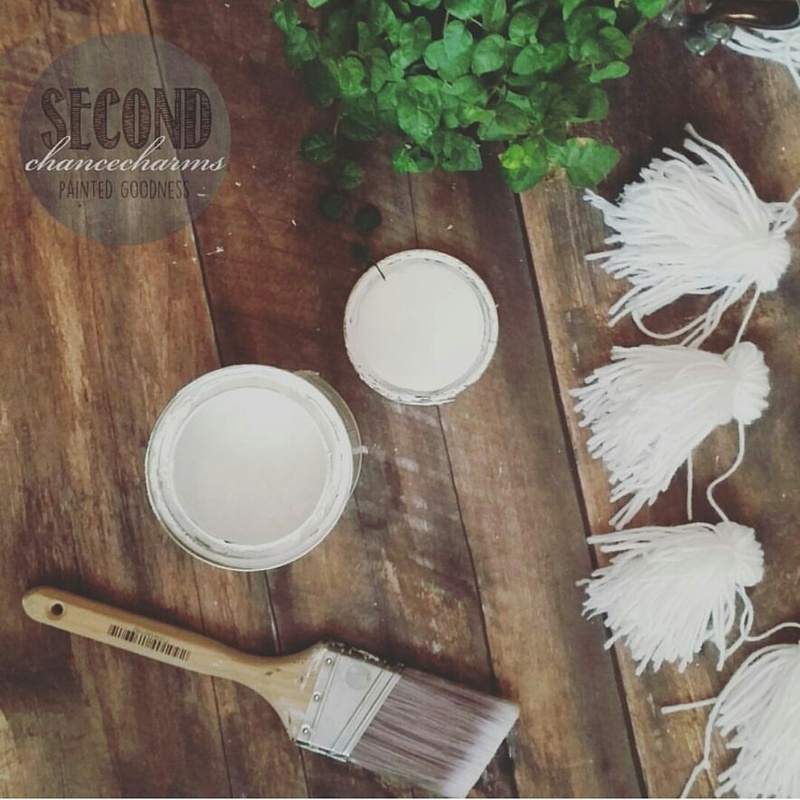 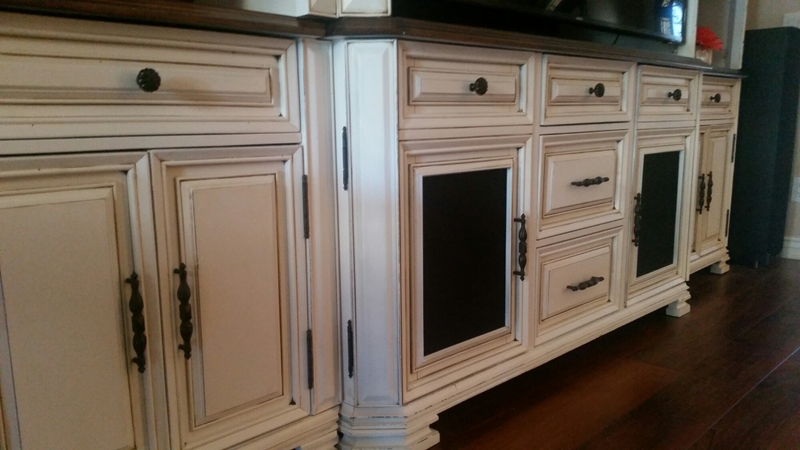 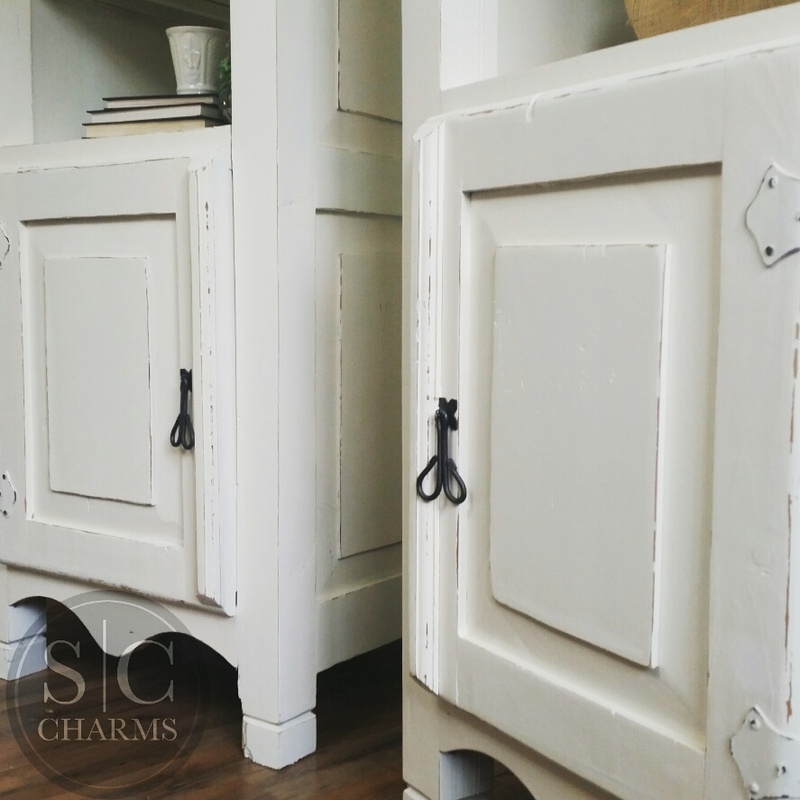 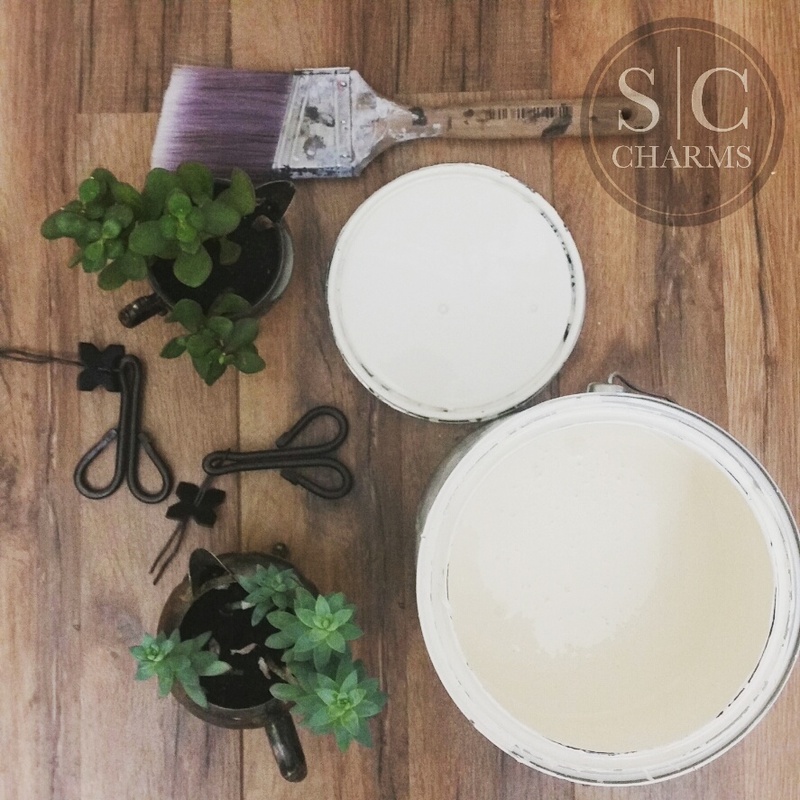 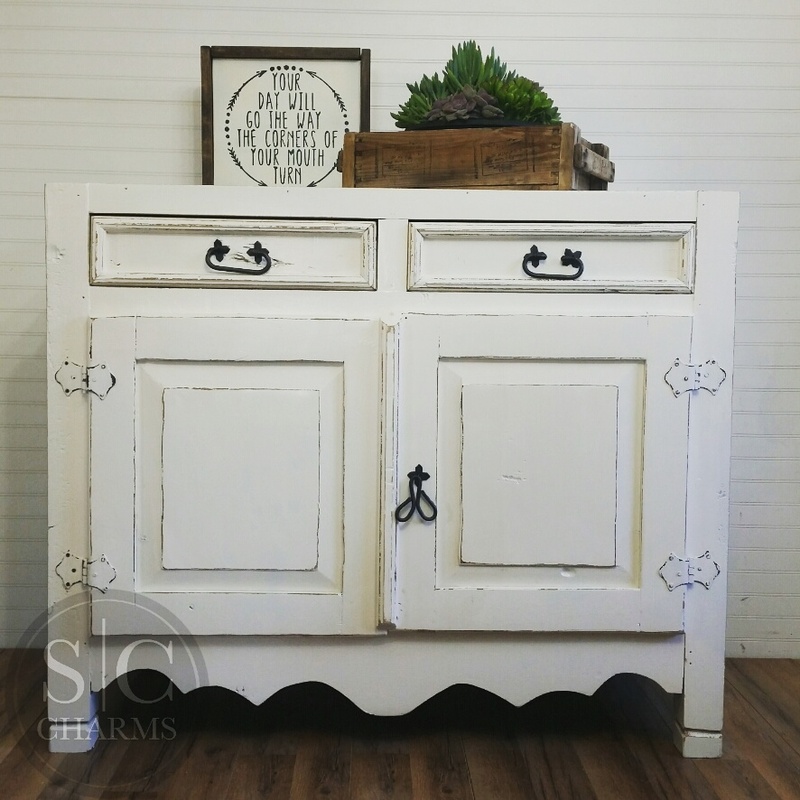 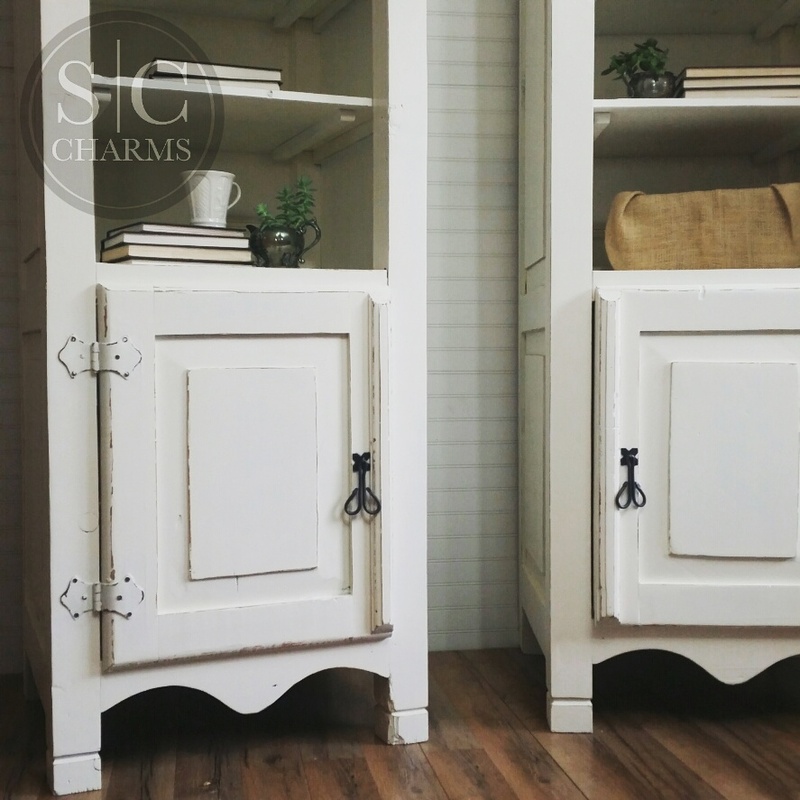 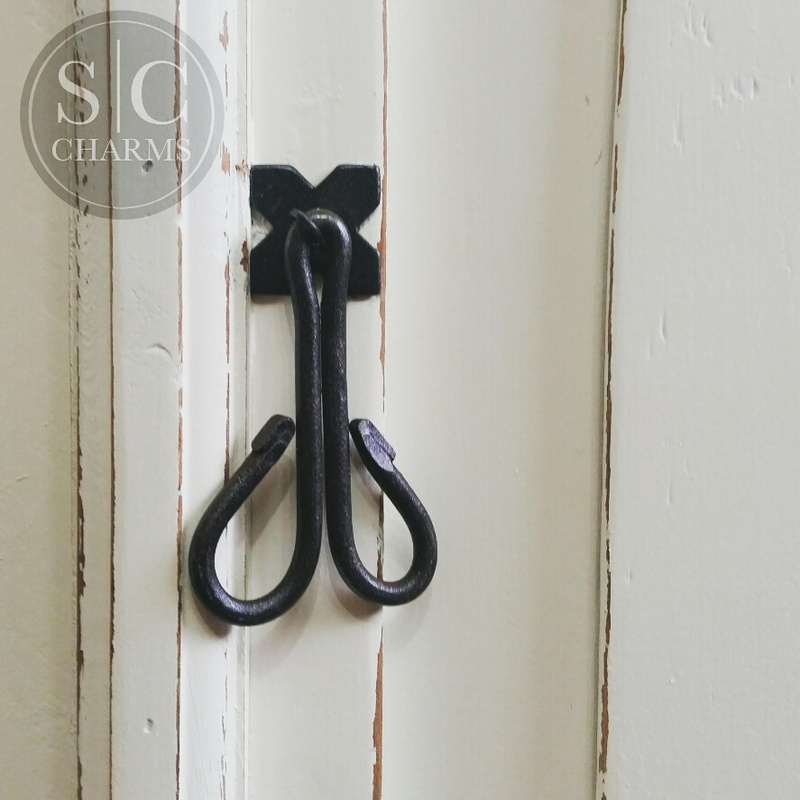 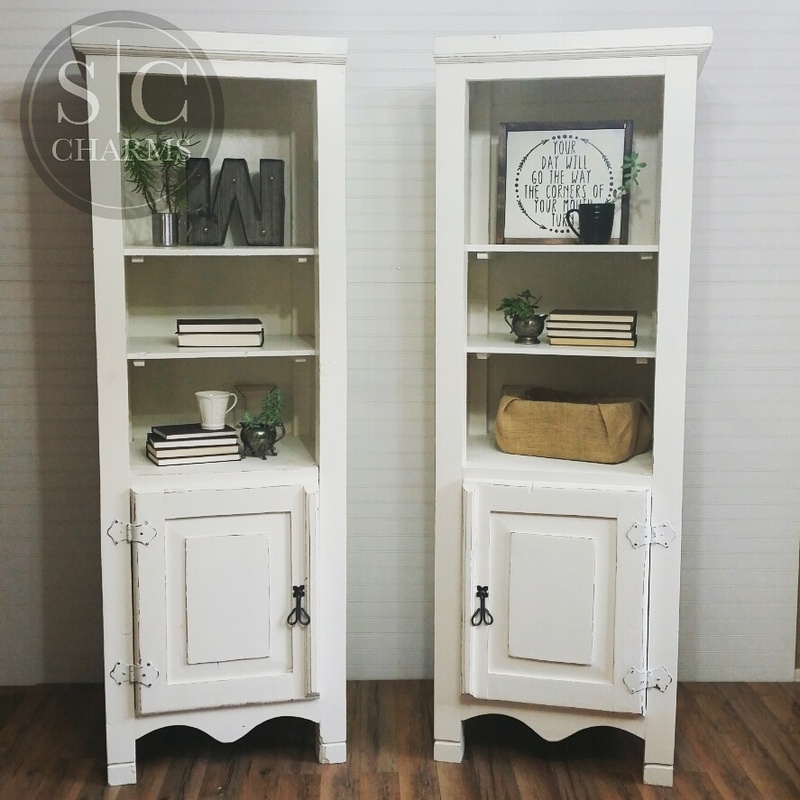 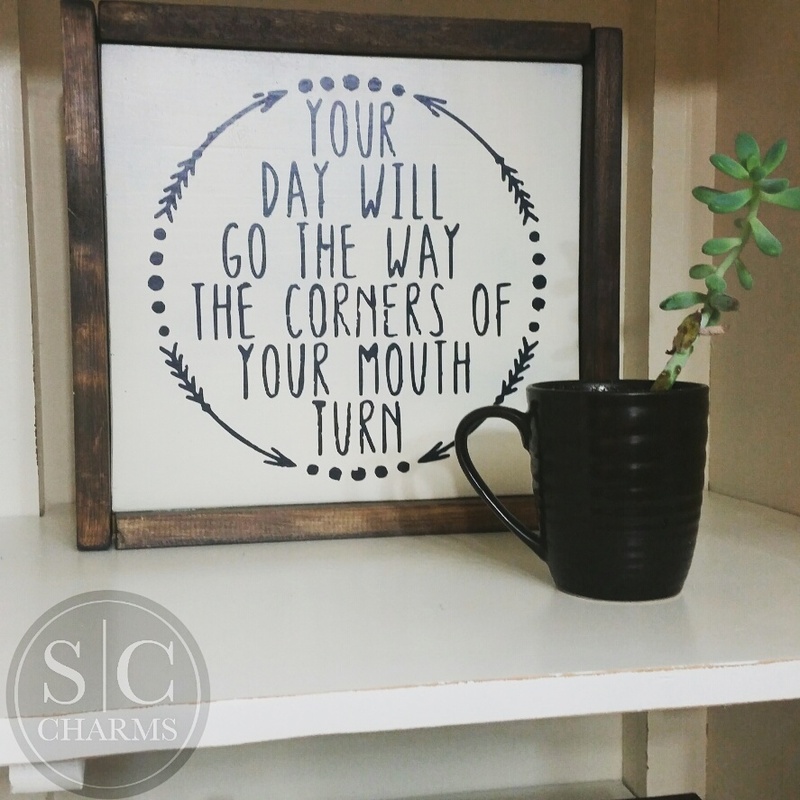 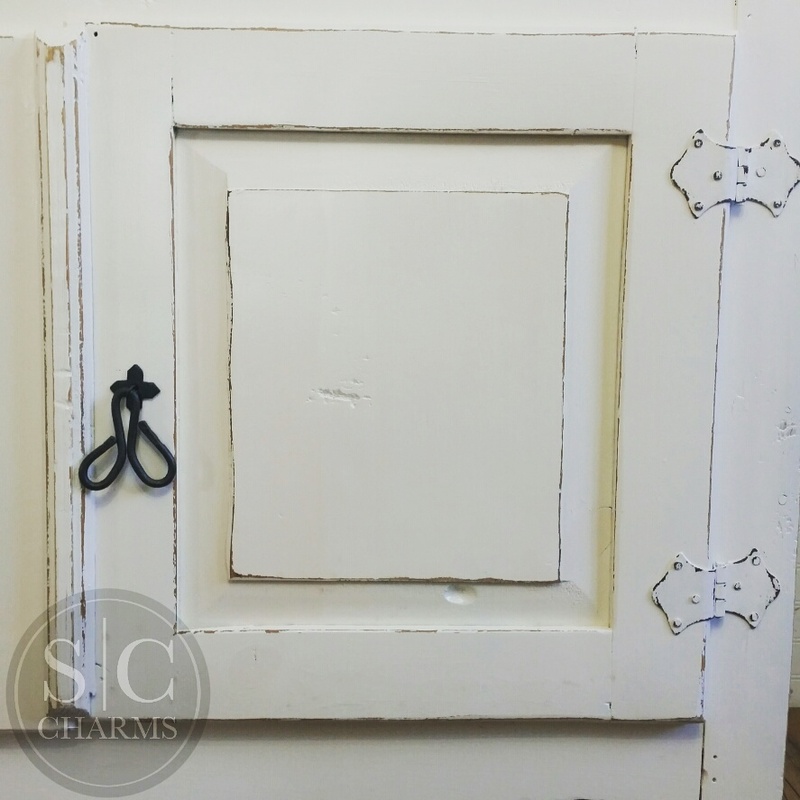 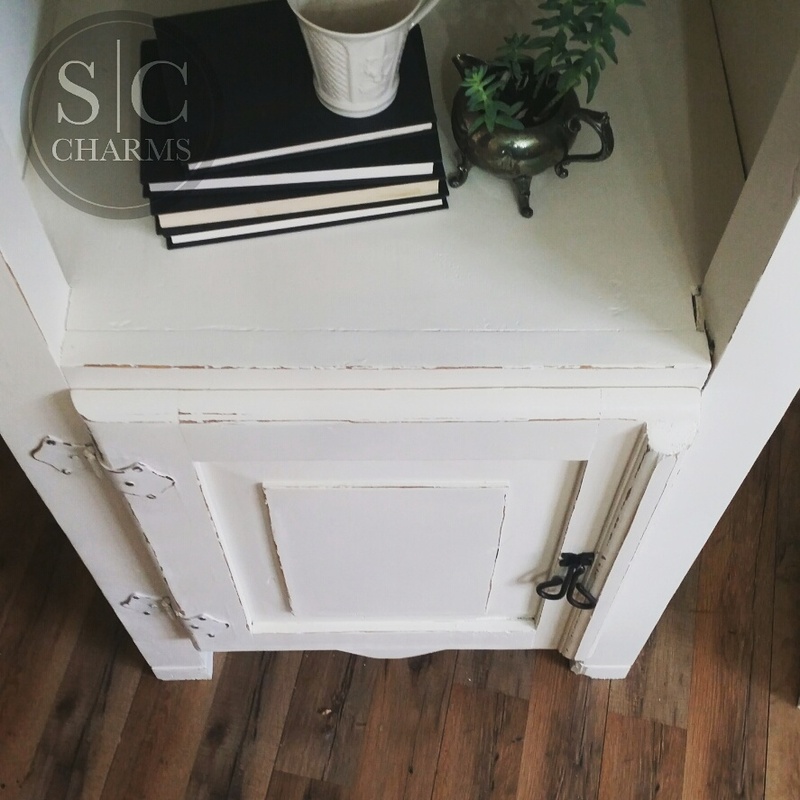 Refinished in Sherwin-Williams Paperwhite and lightly distressed. 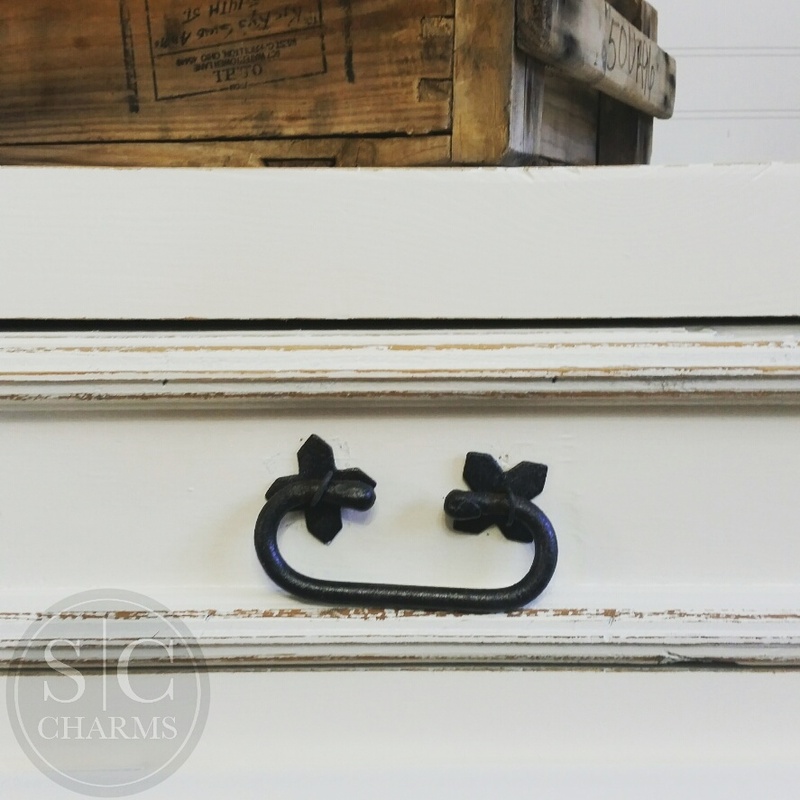 Original hardware revamped in bronze.